Conveniently located two miles from Nottingham City Centre. 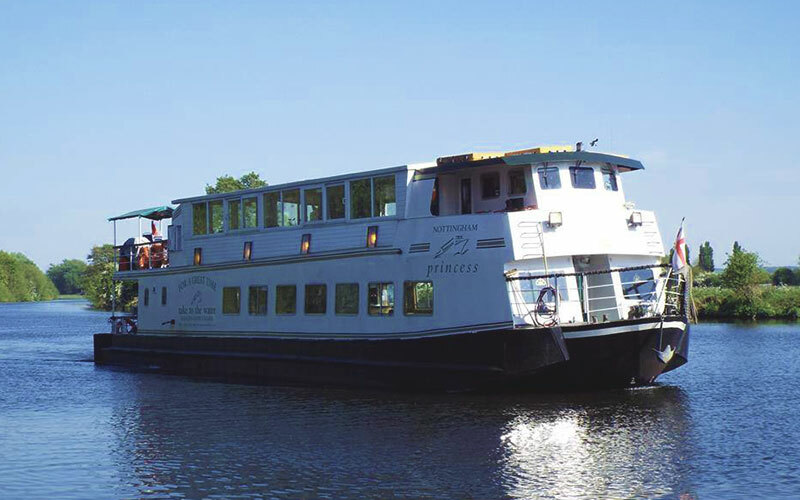 Please scroll down to view a brochure of our popular cruise and dine packages and other forthcoming events or contact us if you would like a quote for the private hire of one of our River Cruisers. Available throughout the 4 seasons as both of our vessels are fully heated. The perfect meal stop for individuals, families, tour operators & group organisers alike. 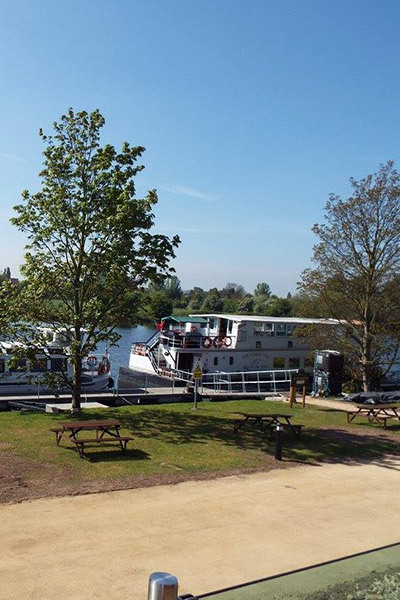 We welcome children on our daytime cruises and we now operate from our brand new River Lodge moorings with bar, reception room, disabled WC and verandah overlooking the River Trent in a beautiful countryside location. 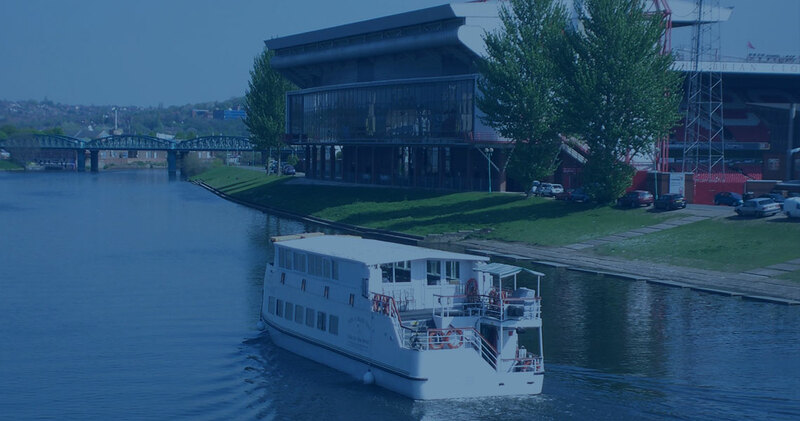 Our specially designed centrally heated vessels ensure a tranquil scenic and relaxing venue, offering the ideal surroundings in which to celebrate your special occasion. 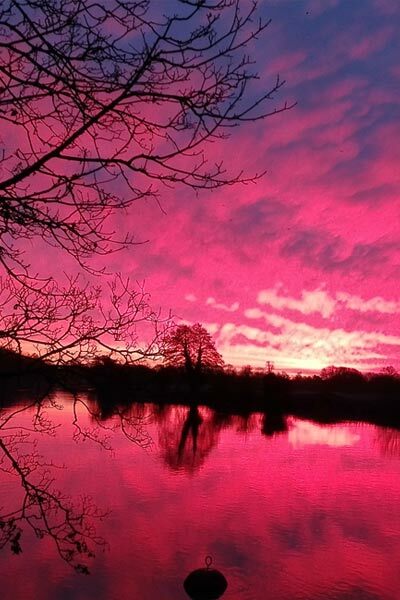 Whatever the weather, you can enjoy the scenic River Trent in all of its seasonal glory throughout Spring, Summer, Autumn and Winter. 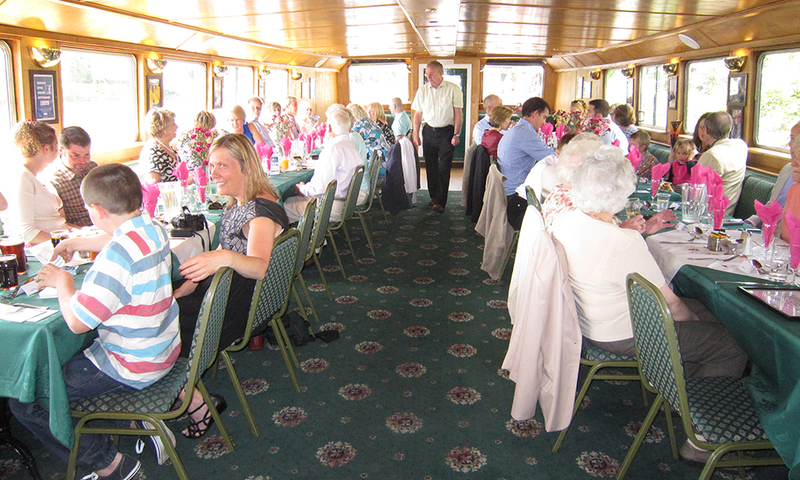 We can accommodate wheelchairs in the lower saloon of our vessels. However, due to their physical size and weight we are unable to accommodate electric wheelchairs. Please advise our bookings office at the time of making your booking if you have wheelchair bound passengers in your party. 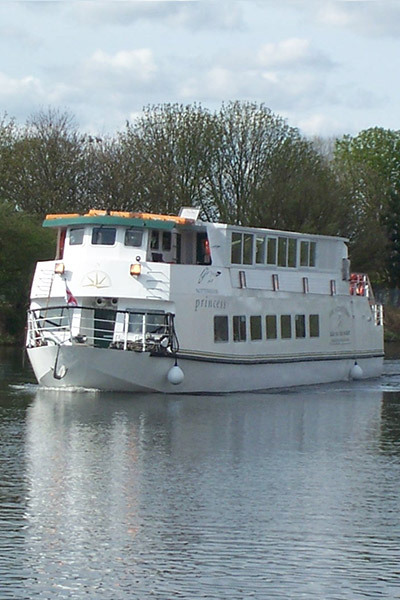 The cruise on the River Trent departs from Nottingham (The River Lodge) or (Trent Bridge). Choose from either a 2 or 3 hour return trip. 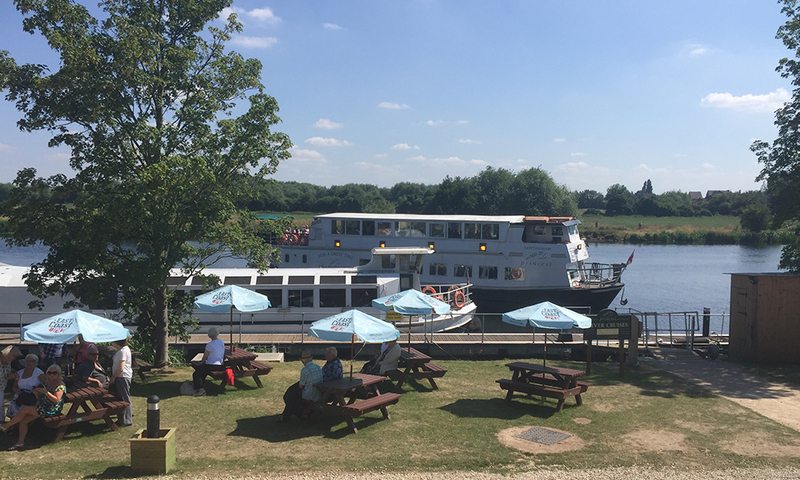 Weather and river traffic permitting, the 3 hour cruise incorporates the interest of working locks and glorious countryside as we make our way toward Stoke Bardolph. All cruises have a full catering service, choose from one of our renowned two course meals comprising traditional roast dinner or fish and chips followed by hot apple pie and custard and complimentary tea or coffee. If your looking for a lighter meal, we are sure that our popular afternoon tea will leave you just as satisfied. All of our meals are served to your table with a generous helping of hospitality by our friendly staff. Informative live commentary and a companion cruise map are also included so that you can follow your journey and pick out the historical and local points of interest. Once you have decided on a date please contact the bookings office on 0115 9100401. Once you make your booking we will require a non refundable deposit within 7 days of making your booking. The balance will become due 2 weeks prior to the cruise. Alternatively, please email us your enquiry.